Bye bye Gabetti. 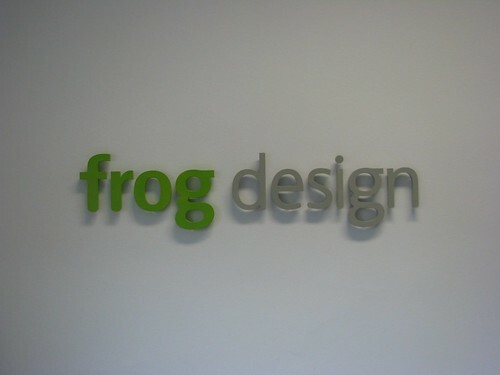 Hello frog design! It’s with strange feelings that I re-read my 2006 post about my entrance in Gabetti. It’s been an interesting and formative experience (and if you’re not new to this blog you should know) which took me from digital signage to Second Life, from management tecniques to virtual servers projects. But things change as the time goes by and it came the time to leave Gabetti and discover new opportunities: I recently started in frog design as Technical Director for the Milan Studio. frog design is a global innovation firm. We work with the world’s leading companies, helping them create and bring to market meaningful products, services, and experiences. I knew frog design by its fame and by the stories my friend (and serial speaker at Frontiers of Interaction) Fabio Sergio – who works at frog as Executive Creative Director – told me. But guys the reality is way better! The Milan studio (~30 pax) employes people from 7 different nationalities; my team (which is actually quite small) has guys from 3 countries (Italy, Denmark and UK) and our daily language is obviously not the Italian. 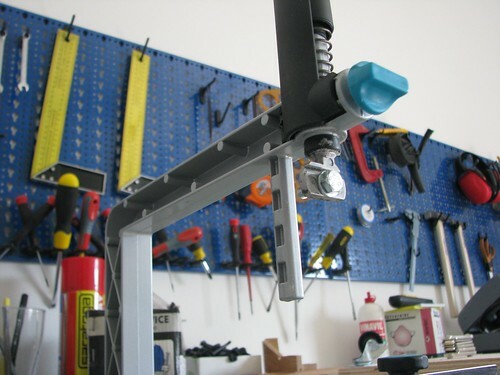 And… we have a workshop to create 3D models of the ID products we work on! And the projects! Oh, the projects! If you take a look at the video below, circa min. 2, you’ll see an indesit prototype for a fridge where frog worked at the technology side (UI + interactions + shelf/light movement) using a bunch of technologies: the Flash interface (running on a Mac Mini hidden inside the fridge) worked with a MAX/MSP servlet which controlled the Arduino board attached both to the lights and to the shelf engine. Pretty interesting uh? I’ve shooted a bunch of other photos at frog design (and others will come in the future), take a look at them in the proper Flickr set. This entry was posted in Beef and tagged frogdesign, personal, user experience, work by admin. Bookmark the permalink. I said it in private already and now in public: BIG CONGRATZ Matt!! !